End of year laziness is compounded for me by two additional reasons. 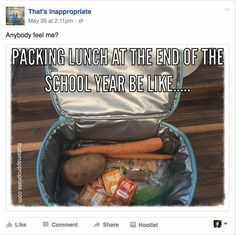 1) our school sells hot lunch so Averi can still eat even if I don’t pack her a lunch. 2) Michael was gone this past week on a business trip, which always means I do less. I didn’t realize how much less I did this past week until today. Michael got in super late last night, but we still had to wake up regular time today. Which means he wanted coffee. And he couldn’t make coffee because the coffee pot was dirty in the dishwasher. Where he had placed it on Sunday before he left on the trip. And today is now Friday. Which means I haven’t run the dishwasher in five days. Because I didn’t need to. I didn’t have enough dirty dishes, pots and pans in FIVE days to warrant running the dishwasher. But Averi and I’s dinner bliss doesn’t get Michael’s coffee pot cleaned. Luckily, I had just purchased a French Press Coffee Pot. We had used one on the Girl Scout camping trip in the Keys a couple weekends ago, and Michael really liked it. So when I saw one at a great price on Amazon, I ordered it. Michael used it this morning to make his coffee. It made almost exactly the amount he needed, but there was around a small cups worth left. I offered to put it in the fridge so he could have iced coffee later, but he wasn’t interested. So instead I told him to leave it and I would see about baking with it. I have always seen those chocolate recipes that call for coffee, saying it will enhance the chocolate. But since I actually hate coffee (how many of you just gasped?) I have never bothered to try any of them. Since I hate waste though – and I’ll admit to wanting to earn some brownie points (literally. ha!) – I figured I would bake today. 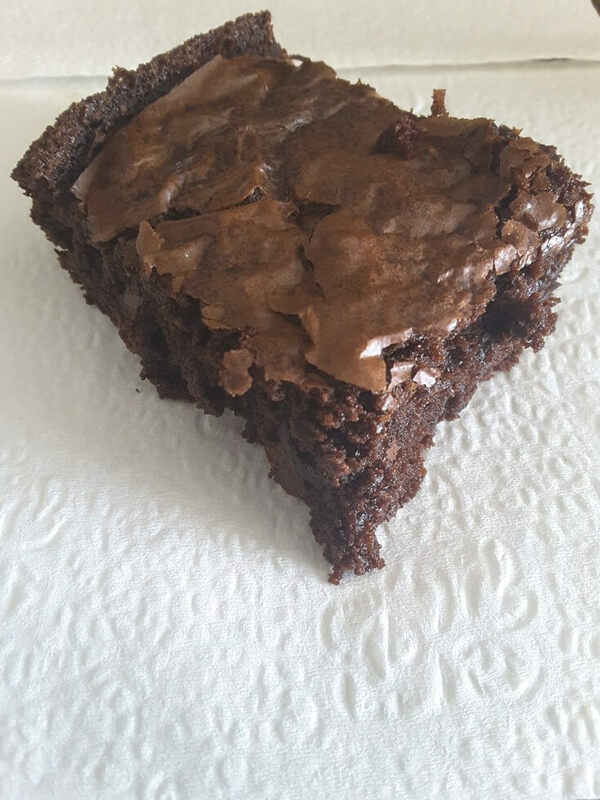 So in the end, because I am still me, I just busted out a box of brownie mix and made that. It really was better with the coffee. Richer tasting. But not coffee tasting, which is necessary for me. I am so happy with it that I am going to go and get the chocolate needed for the first brownie recipe I found (which was not Oprahs) and make those when we next have extra coffee. I’ll share that recipe. In the meantime, for now, just remember that you can replace water with coffee. 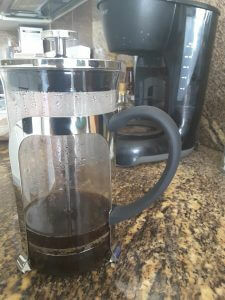 And if you need a coffee press, this is the one we used. I liked it cause you can make tea in it too, which is so much better then coffee. 🙂 Sorry it’s no longer on sale.